Are you in the market for a new modular home, double wide home or mobile home in Broome, Chenango, Delaware or Otsego county in New York State? Looking for a company that will help you through the entire home buying process? Then we can help. At Belden Homes Inc we’ve been putting people like you into manufactured housing since 1973. You have the choice of brand names such as Commodore, Pine Grove, Pleasant Valley Homes and professional Building Systems (PBS). For customers in our immediate selling area, we also offer turnkey setups in which we build your driveway, garage, deck along with all improvements so all you need to do is walk in the door and start living. Please browse our site where you can learn about available floor plans as well as see the models we have on our display lot. If you have any questions please contact us or visit us in person. If you are looking for a modular home, we can help. We carry names such as Commodore, Pleasant Valley Homes and Professional Building Systems. Among these brands you’ll find a wide range of ranch designs. In addition to sales we offer complete turnkey setup for customers in Broome, Chenango, Delaware and Otsego counties of New York state. This is where we install your driveway, garage, foundation, etc.. We’ll guide through the entire home building process until you are in your new home. Find out more about our modular home offerings by browsing the links below. If you need any help, don’t hesitate to	contact us. 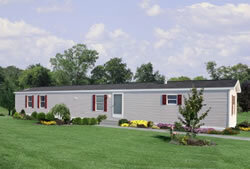 In addition to modular homes, we offer double wide homes and mobile homes. For brands we feature the entire line from Commodore Homes. Not only do we offer sales, but also offer turnkey setup for customers in our immediate selling area. We serve an area within a radius of 50 miles of Harpursville, New York. These areas include the counties of Broome, Chenango, Delaware and Otsego counties in New York State. Not sure if we serve your area? Please contact us and we will be happy to help you.